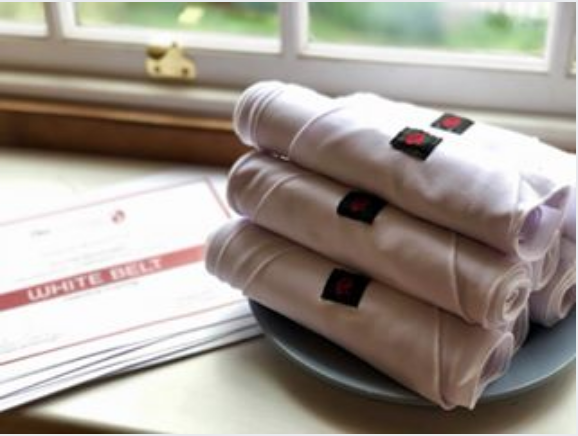 When Helen isn't at SomaRanch she shares the joy of Nia, most often the Nia White Belt training, around the world. 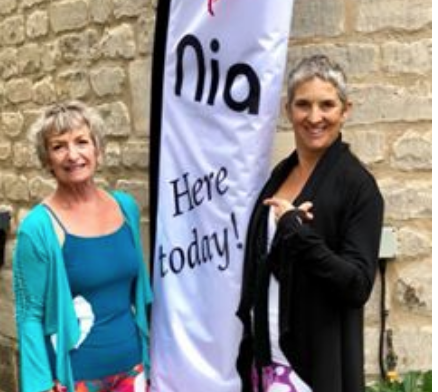 The latest Nia White Belt training was at the Prema Arts Centre in the heart of the English Cotswolds. The space is extremely conducive to a magical experience for both the training and classes. The acoustics in this beautiful old building are amazing. 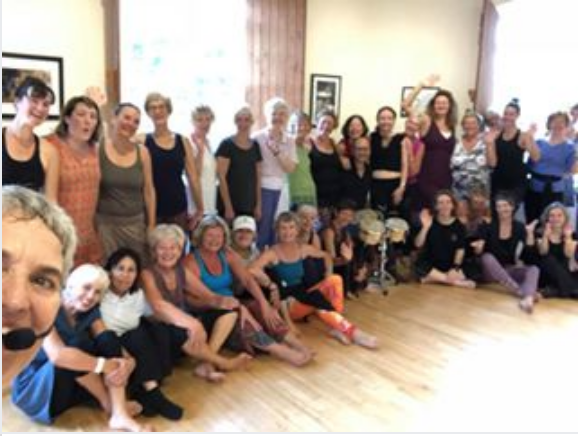 We even had Jez, from Kings Langley (Husband of Nia Black Belt, Michele Kaye) accompany us with live drums for the last class. Being up on the 2nd floor, the octagonal studio, provides a scenic look out on the quiet village of Uley, through beautiful windows. Folks would gather downstairs in the lounge area, enjoying getting together over coffee and tea after class! 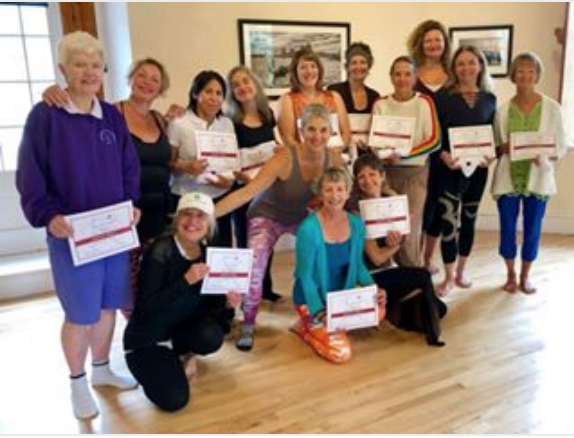 The training was produced and hosted by Geri Timmins, who took the Nia training with Helen 11 years ago, who has since been a wonderful community developer and leader. In 2017 we offered the first training at Prema Arts with 4 participants. The classes were very well attended and, by the end of the week, there was quite a buzz about a return. This year the training doubled with 8 participants, with one attendee being Sadie, Geri's daughter! 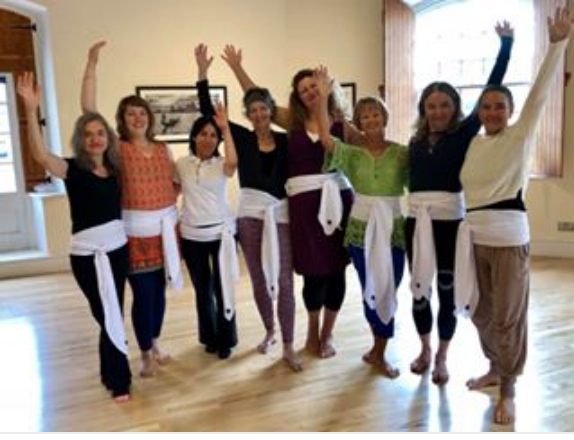 As well as great attendance with Nia trainees and participants, it's a joy to reconnect and meet many Nia belts who return to take a class or revisit part or even the entire Nia training. Nia Black Belt, Christine Davis, a "pioneer" of the Wotten-Under-Edge Nia area, attended several classes with many of her students. Bex, Nia blue belt from New Zealand, dropped in for classes, while on her UK vacation. Participants flew in from Belgium, Ireland and the USA for the training. We had 7 Nia black belts, 2 Nia Brown Belts, 3 Nia Blue belts and countless Nia White belts attending classes. 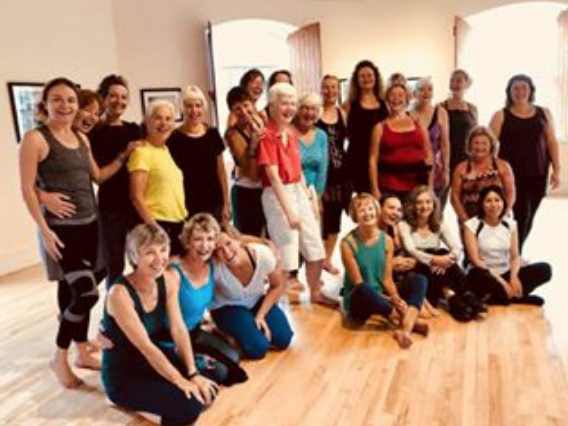 Helen taught the first ever UK class back in 1994. Now 24 years later, she loves returning to her "birth" country to witness Nia UK blossoming, reconnect with trainees who feel more like friends and spend time with Mum and Dad (who attend every class!). 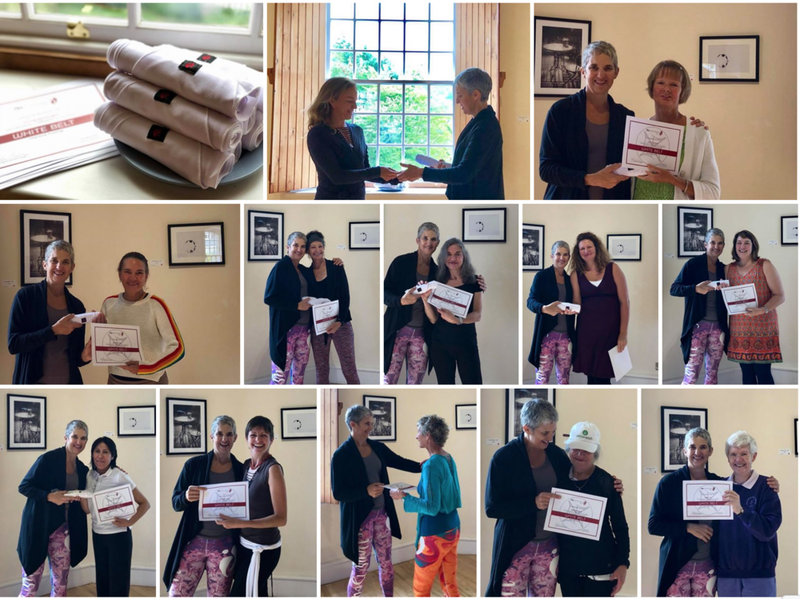 Congratulations to Nia White Belt graduates Kate, Liz, Sadie, Antonia, Emma, Edina, Jackie, Sandy. Thank you Geri, Beverly, Maris, Yael, Lesley, Petro, Mary Claire and Claire for revisiting the Nia training. And deep gratitude to 100+ folks who attended classes to contribute to a most magical experience. See you next year!